First off, you can see the current status of the game from its page. Second, if you don't know about the SCP Foundation..well, just check it out. 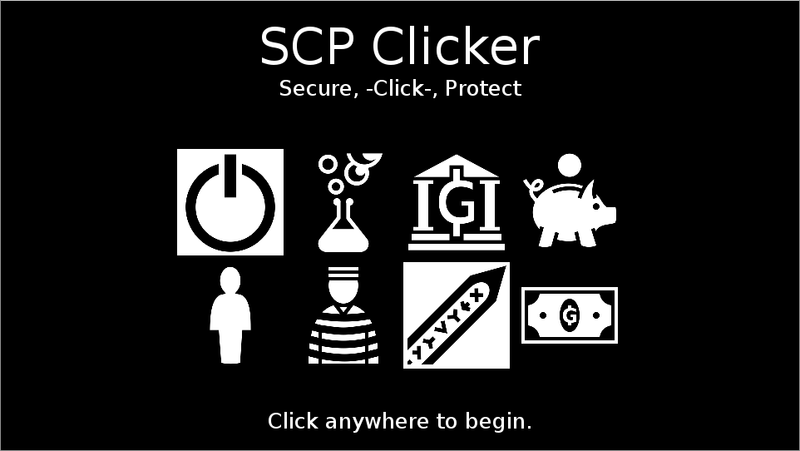 SCP Clicker is a game based on the mythos of the SCP Foundation. You must balance the need to keep the world safe and your need to get cash to keep the Foundation running. 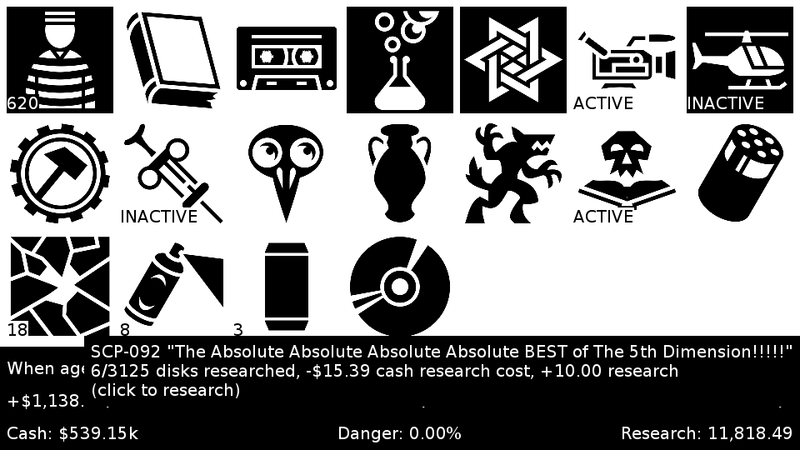 Additionally, you'd like to get as much research done as you can, but this can be dangerous. The researched disc count on SCP-092 previously didn't update until you clicked it, now it shows the correct number. SCPs with multiple instances are now counted properly and shown as a single icon with a number on it instead of duplicates. Fixed a bug with losing. Fixed a bug with how the pause menu was handled (and any UI click events in general). 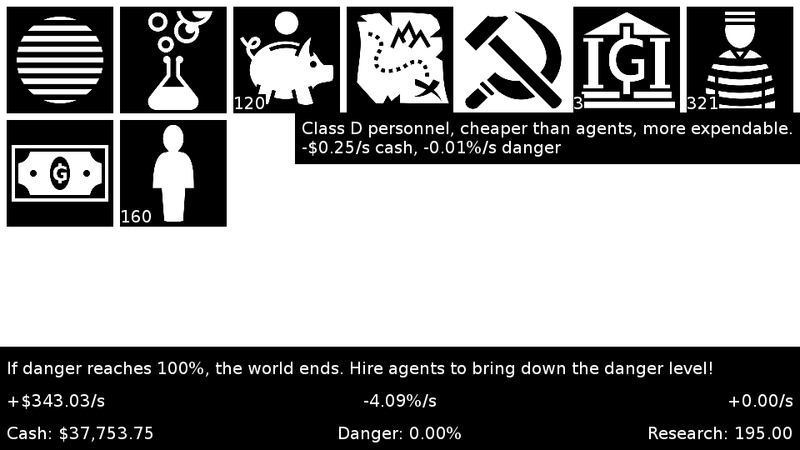 Fixed a bug allowing negative resources (like firing more agents than you have). New games start with some cash flow and cash to make the early game a little easier. This isn't a very significant change, but people often have trouble with the early game.